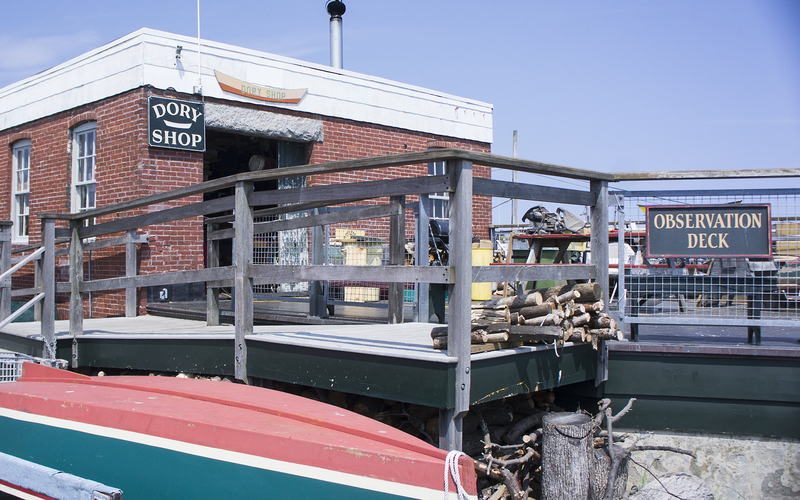 "An intimate view of the harborfront, giving access to the town’s history — and the water itself — without disturbing the working port, or cutesifying it." 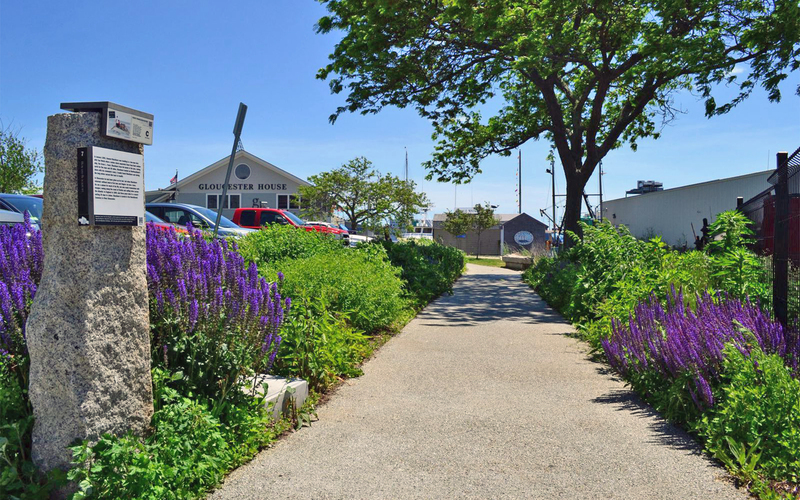 The HarborWalk’s self-guided, free, public-access and award winning walkway trail is defined by 42 granite story posts installed as a permanent exhibit outdoors. 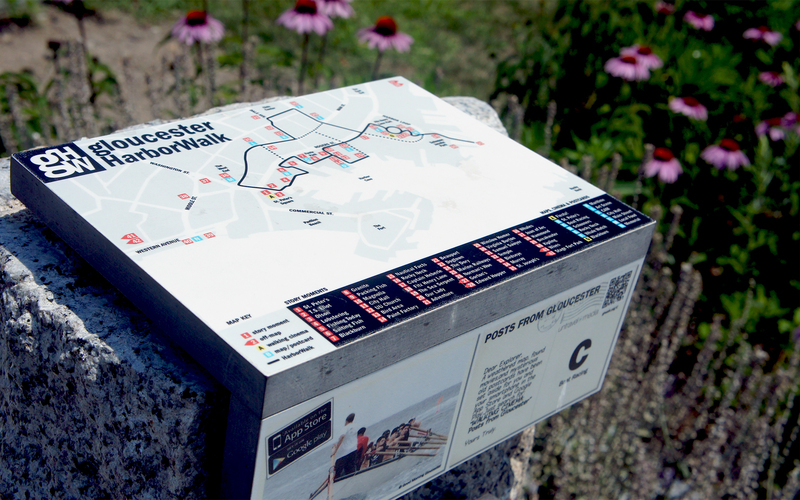 Each marker highlights an aspect of Gloucester’s history as a seaport, our rich culture and people, and how we are evolving in response to a modern, sustainable fishing industry. Forty-two locally-quarried granite posts bring Gloucester’s mariners, artists, innovators, and interesting characters to life. In addition to the heritage and culture of the working waterfront and downtown, you’ll get a glimpse of today’s vibrant and diverse community. Story posts along the walk are numbered and named for the story introduced on the graphic attached to each post. The stories presented are not in sequential order and you are welcome to start your walk experience at any of the 43 story post locations. Each marker displays a unique icon. These are slightly raised and may be used to take pencil or crayon impressions. See Hunt The Harborwalk Challenge for activity using the Raided Icon. Many Story Posts contain postcards that showcase Gloucester life and culture. 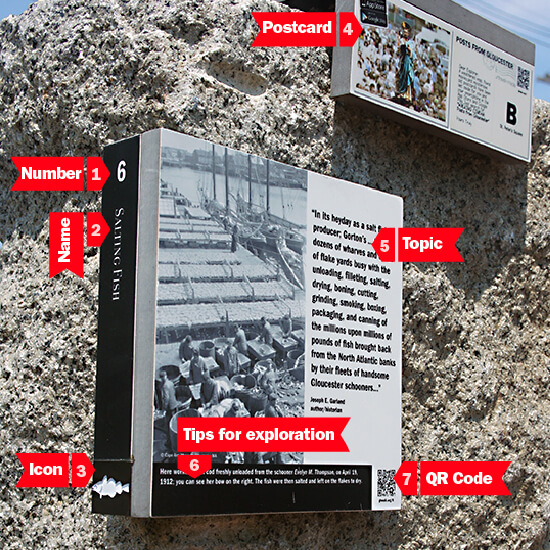 Use your mobile phone to access the postcards through the ‘Walking Cinema’ app. Many contain local tips, places to visit, and special promotions. 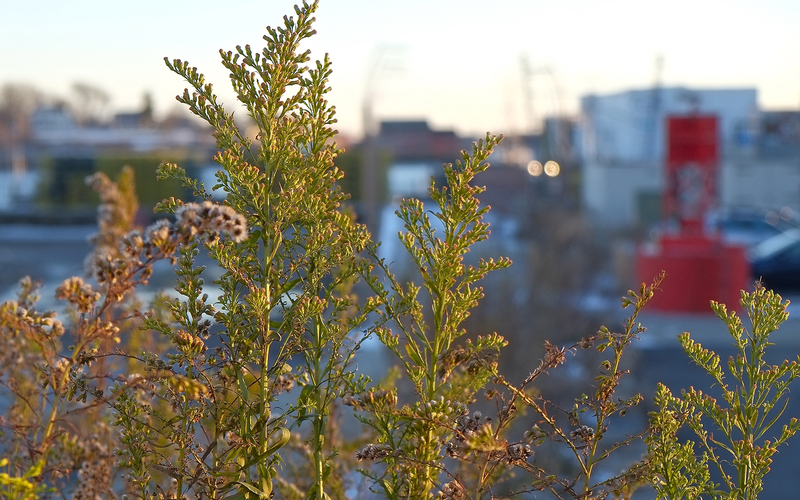 Each story post introduces a different aspect of Gloucester’s heritage and culture, giving you a glimpse of today’s vibrant and diverse community. The black band at the bottom of each marker suggests museums, points of interest and cultural institutions for further exploration. At the bottom right corner of each story post panel you will find a QR Barcode that can be scanned with a mobile phone or tablet. 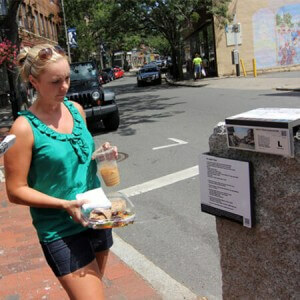 HarborWalk QR codes provide access to additional multimedia content (video, audio and text) specific to each Story Post. 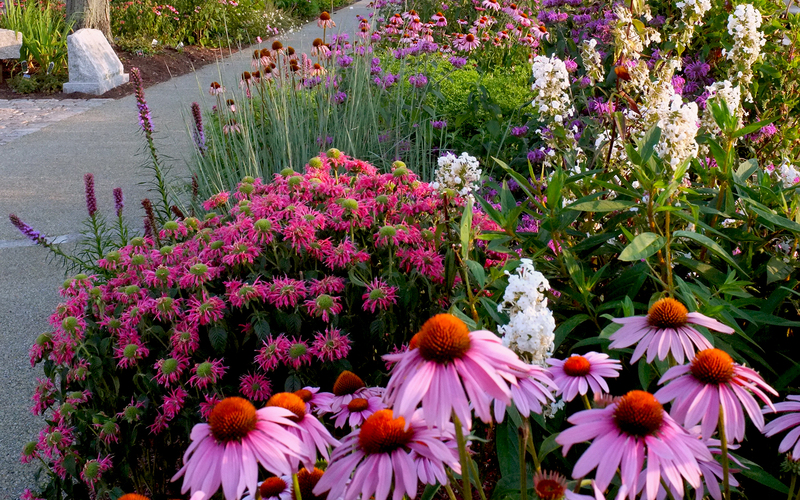 6 award-winning interactive video segments to watch on the HarborWalk path. 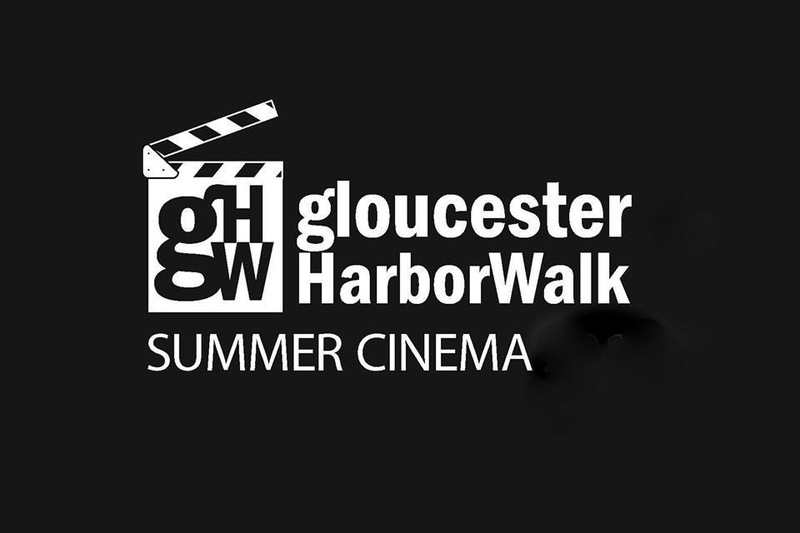 The HarborWalk features an award-winning collection of 6 short, interactive videos highlighting Gloucester’s premier event, St. Peter’s Fiesta, and the heroic story of Howard Blackburn. Use your mobile phone to access these interactive videos by scanning the QR code on story posts with a Walking Cinema icon, or download the Walking Cinema mobile app on iTunes or Google Play stores. The optimum viewing of the videos (best resolution and ease) is with the APP. 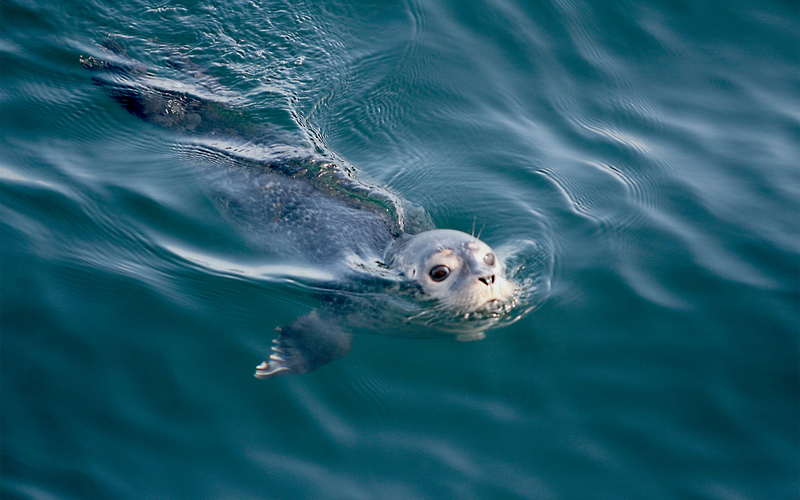 Gloucester Harborwalk is always free and open. There is free parking at St. Peter’s Square. There is metered parking or pay stations along the streets and other lots. See map for additional lots. WHERE DOES THE WALK BEGIN? 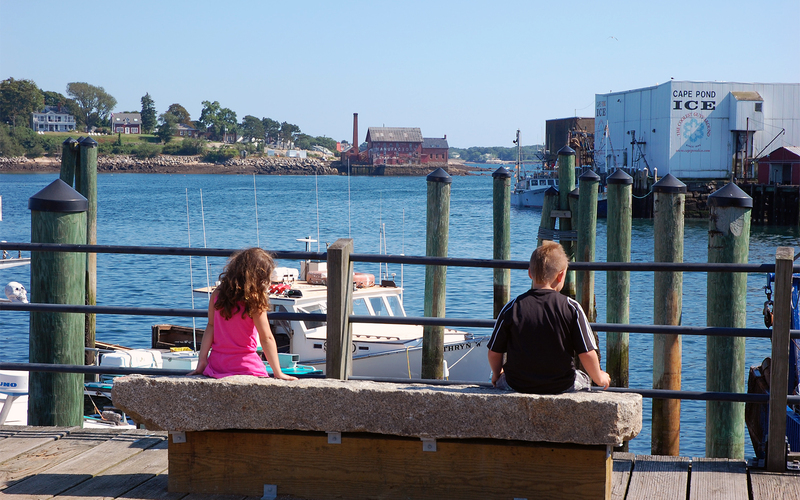 Gloucester HarborWalk is a collection of 42 story-post locations that wind through Gloucester’s historic downtown and working harbor. Although you could begin your walk at any one of the 42 story posts, the first story-post “St Peter” is located at Peter’s Square at the corner of Washington and Rogers Street (10 Rogers Street). Look for the large green ocean buoy. 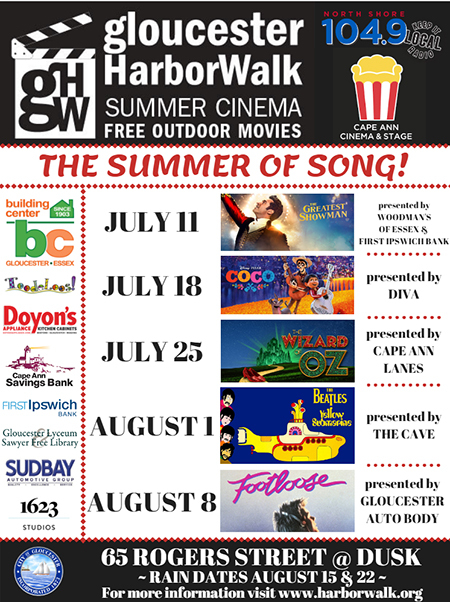 Where does the HarborWalk go? From St. Peter’s Square on Rogers Street, the HarborWalk traverses the working waterfront to Harbor Loop. The Walk then turns up to City Hall and the civic center, then turns back down through the historic district to St. Peter’s Square. Several markers lead to some of the City’s most famous landmarks away from downtown. They include the Man At the Wheel and Fishermen’s Wives statues on ocean-front, Stacy Boulevard, leading to Stage Fort Park. In all directions are views painted by famous artists. 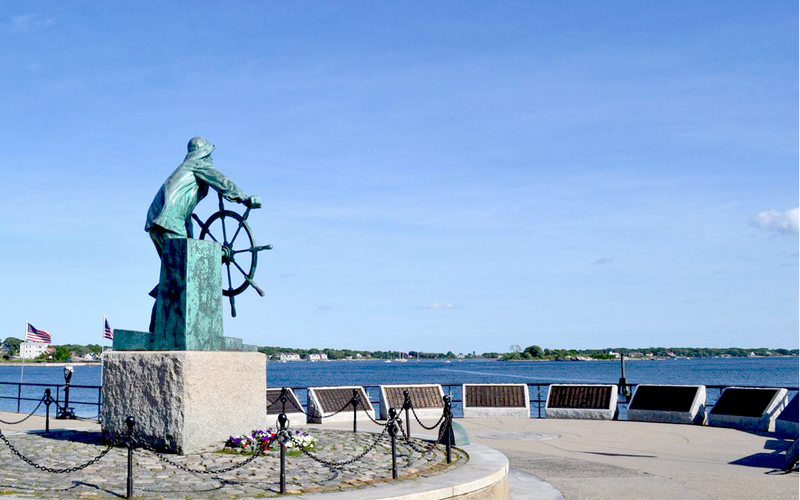 The Gloucester HarborWalk introduces the City’s unique heritage and cultural contributions. Cape Ann Brewery@ 11 Rogers St. Latitude 43@ 25 Rogers St.
Gloucester House@ 63 Rogers St.
Sawyer Free Library@ 2 Dale Ave.
Gloucester City Hall@ 9 Dale Ave.
Gloucester Police Station@ 197 Main St.
Rose Baker Senior Center@ 6 Manuel R. Lewis St. There are many restaurants, cafes and pubs on Rogers Street and on Main Street where you can dine in or take out. Benches are sited along the HarborWalk so that you can take advantage of views. There are picnic tables by the Fitz Henry Lane House on Harbor Loop and barbeque pits at Stage Fort Park that are open from dawn to dusk. Take RT 93 N or RT 128/95 N to Peabody. Follow Washington Street until it forks left and right at the Joan Of Arc Statue. Continue to the right and down the hill. St. Peters Square (Story Post #1 St. Peter’s) will be directly in front of you. Limited parking is available in St. Peter’s Square. he MBTA “Rockport Line” originates from North Station, Boston, and continues to Rockport. The Gloucester depot is a short walk to the Cape Ann Museum, City Hall, Main Street, and the harbor. Private Taxi services are also available. The seasonal water shuttle stops at points along the harbor, including St. Peter’s Square, Harbor Loop, Cruiseport, Cripple Cove, and Rocky Neck. Or, leave your car at Stage Fort Park off Hough Avenue near the Visitors Center and take a seasonal trolley to St. Peter’s Square or Harbor Loop. Cape Ann Transportation Authority (CATA) provides local bus services throughout Gloucester and Rockport including additional services to Danvers and Peabody Malls and in Ipswich, Essex and Beverly. The HarborWalk winds through Historic Downtown Gloucester where you will find shops, art galleries, museums, historic homes and a wide range of restaurant and food establishments serving everything from authentic Italian sandwiches and pastries to casually sophisticated dining – and of course the freshest seafood you’ll ever taste. 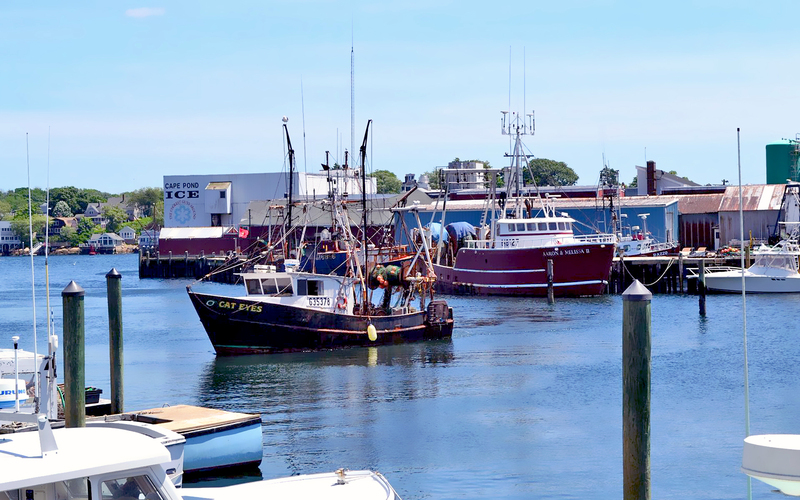 Downtown Gloucester is also home to numerous whale watches, boat excursions, theatre, art house cinema, lectures, readings, exhibitions, a monthly summer block-party and an outdoor ‘Bazaar’ in August. 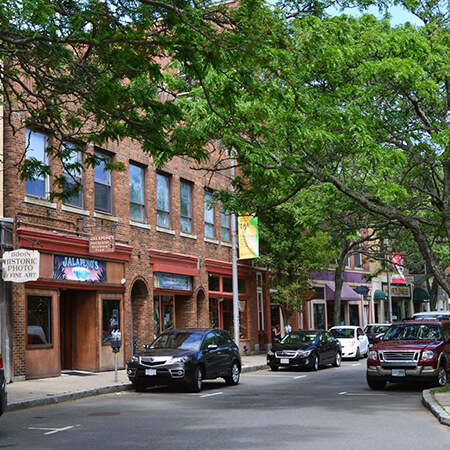 There are 3 Historic Districts in Gloucester. The Front Street Historic District is located from 55-71 Main Street in the West End. The Central Gloucester Historic District roughly follows the boundaries bounded by Middle, Main, Center, Hancock, Short, Prospect and Pleasant Streets. The Historic District Commission (HDC) reviews, recommends and imposes requirements on development proposals within the Historic Districts for the purpose of preventing developments incongruous with the historic aspects or the architectural characteristics of the surroundings.